You might be familiar with the app development studio Cheetah Mobile because you've probably downloaded some of its creations. 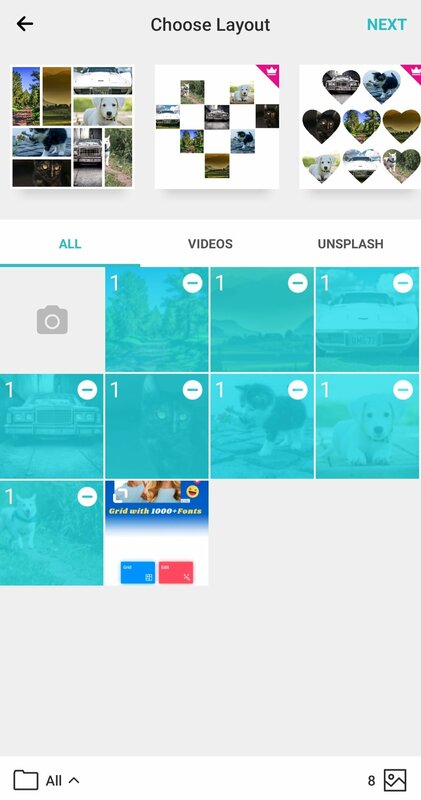 The most popular one is definitely Clean Master (for both Android and Windows PC), but they're also famous thanks to Piano Tiles 2 or Battery Doctor, amongst others. 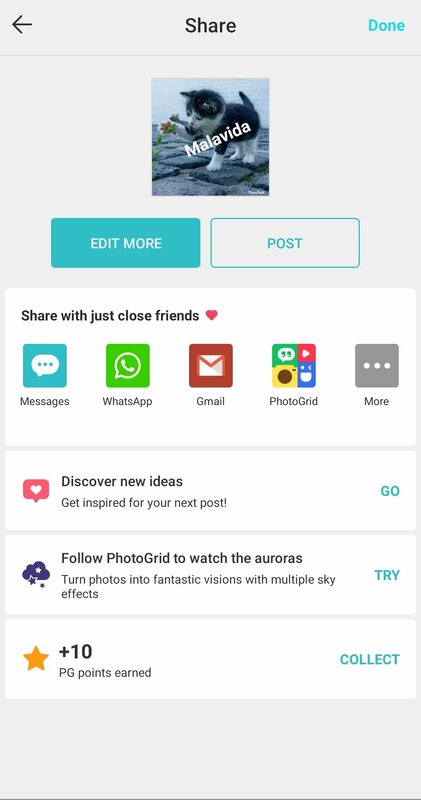 Well, within their catalog of applications there's also an app to edit and enhance photos that is mainly dedicated to the creation of collages and photo compositions. 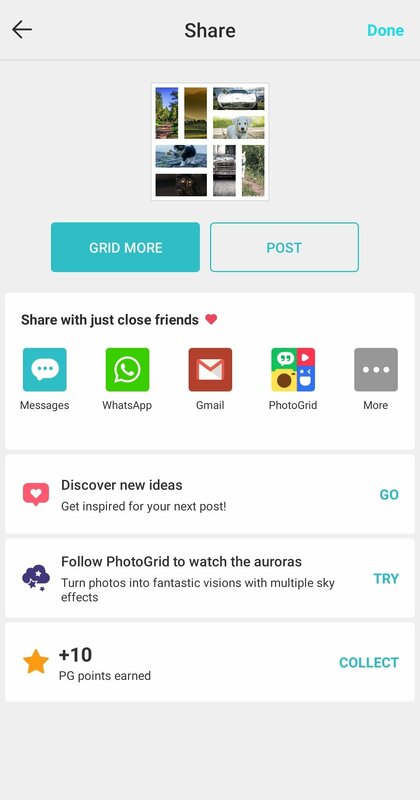 We're talking about Photo Grid - Collage Maker, a simple app with which you can fix photos and get them ready to be uploaded to Instagram. 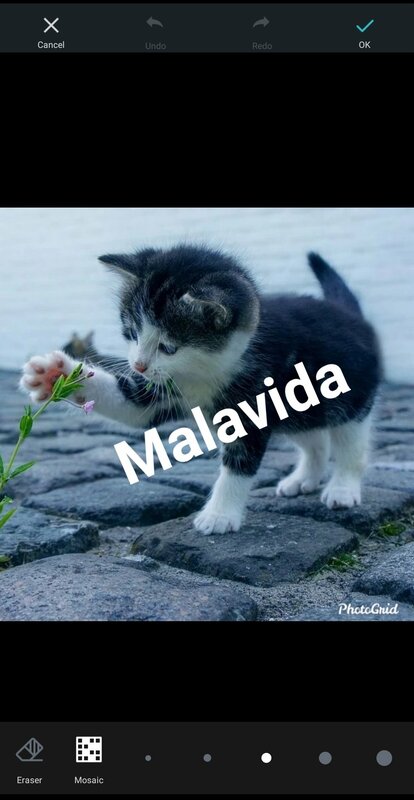 An image editor specialized in putting together collages. 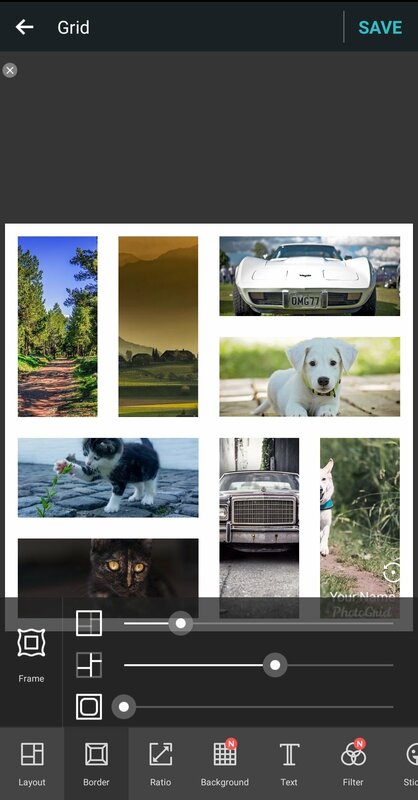 Grid: turn your images into collages with different filters and layers. 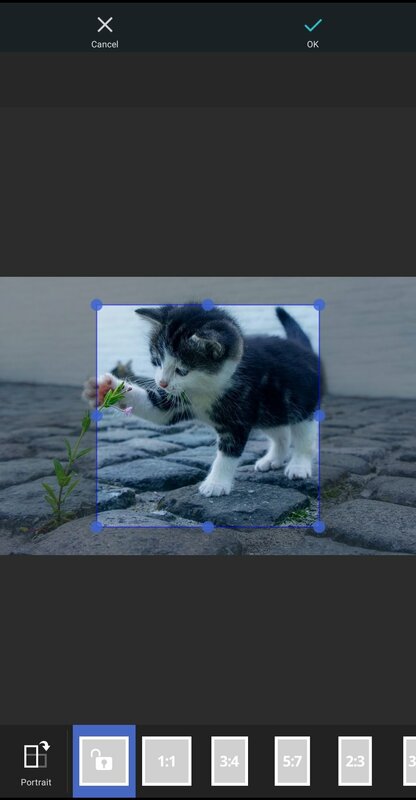 Editor to slenderize your images, correcting any flaw or imperfection. Crop your photos in different proportions, including the default dimensions of the most popular social networks such as Instagram. Camera function with support for selfies that allows you to enhance pics on the fly. 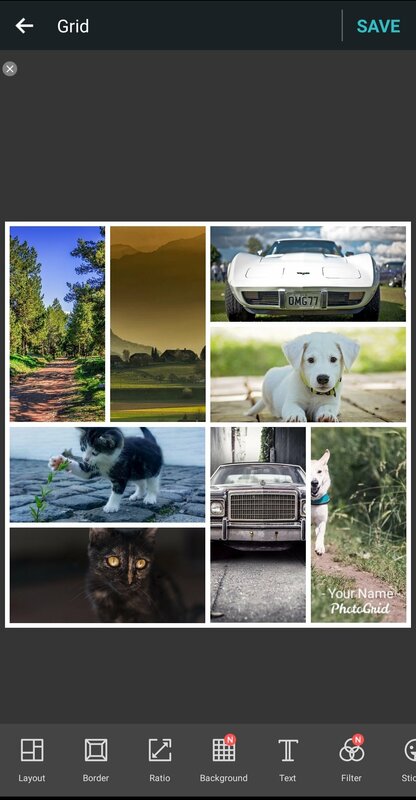 Slideshow function to turn your photos into stories on video. Share your creations on your personal board. Poster option to adapt your images as if they were a magazine cover. 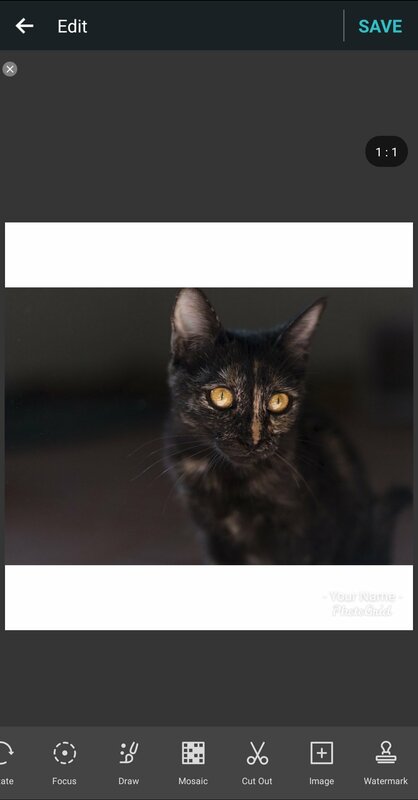 Adjust the brightness, contrast, saturation, and hue of your images. Filmstrip to tell stories by combining several photos. Over 300 layers to be applied to collages. 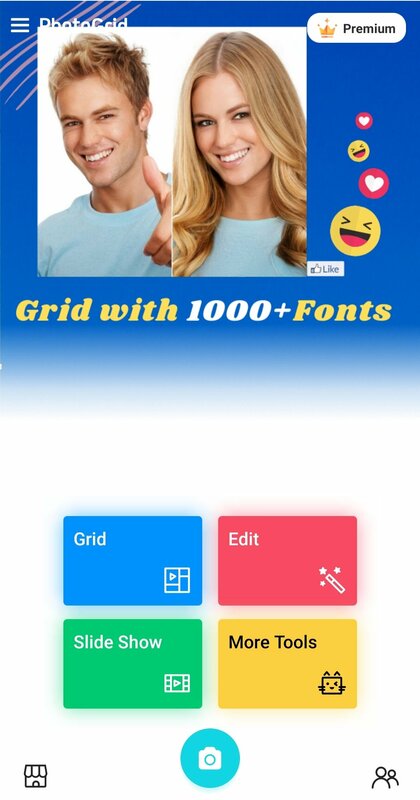 More than 100 filters to create artistic effects or adapt the images to your mood (50 of which are animated). Over 200 different wallpapers to decorate your images. This application, unlike others with the same purpose, offers us an interface with a better usability and fewer adverts... which we're very grateful for. It won't take you any time or effort to learn how it works. However, as you probably already know, the guys at Cheetah Mobile also need to pay their mortgage, bills, and other expenses. Therefore, not all the elements can be used for free and you have to purchase them instead. 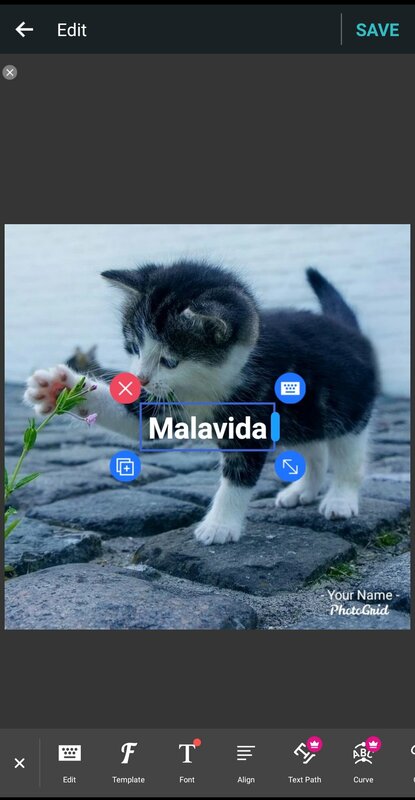 That's the way to get hold of their Premium APK, although you can get along perfectly well with the free basic editor thanks to al its possibilities. The app has a huge user community where you can share all your creations or discover what others have done. Explore and interact with likes comments about the work of other users and bring out all your creativity to improve your skills as a photographer and image editor.